If you love to sing, you're invited to visit us and discover your Inner Diva! Sitting in on one of our rehearsals is the perfect way to to find out more about us, and what we can do for you. We rehearse Mondays from 7pm - 9:30pm and guests are welcome at all rehearsals. Just drop by or send us a message. Crosstown Harmony Chorus is a group of extraordinary women united in our love of singing. We perform for our families, friends and communities and are a force in the competitive singing world. On the stage under those bright lights, we are singers, dancers, and actresses. Our off paper performances, ringing tones and attention to each crescendo, decrescendo and diphthong is what sets us apart from other choruses you may have heard before. 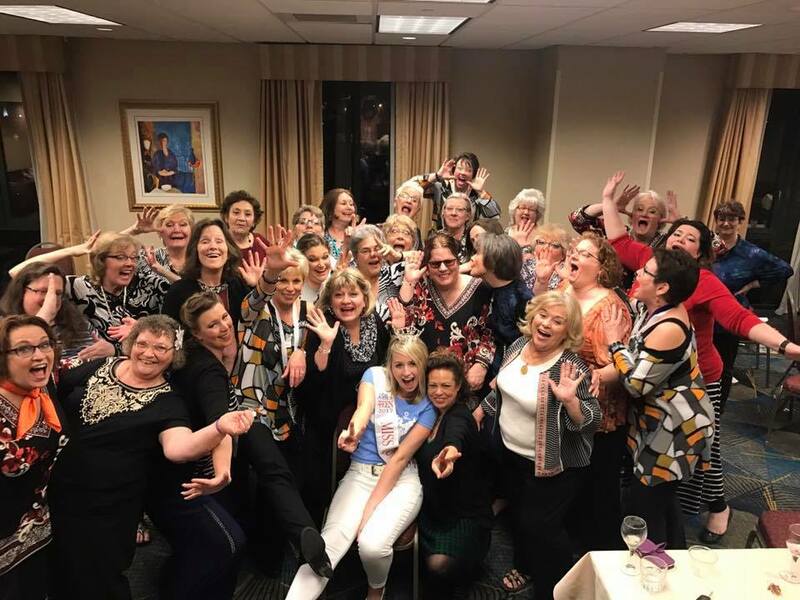 Amid an atmosphere of friendship and fun, we are hard working women committed to musical excellence through education, performance and competition in the Barbershop style. Crosstown Harmony is a premier women's a cappella chorus located in Southeastern Wisconsin. Musical Excellence, Education, Harmony and Fun define who we are. We LOVE to compete, perform and are always looking for new members. We invite you to stop on by one of our rehearsals to experience the Crosstown Sound.